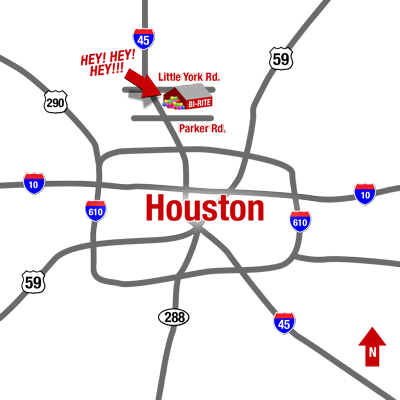 Bi-Rite Furniture is located on I 45 North between Parker Rd and Little York Rd. Our physical address and driving directions are listed below. Click on the map above for a direct link to our map listing. Please feel free to contact us at 713-699-8200 if you need further instructions. TAKE I-45 (southbound) Exit PARKER RD (Exit 55A) U-Turn at PARKER RD.